A simple solution, complete with a column, methods, batches, and reports. Allows for sample submission to reporting in just a few mouse clicks, with easy and minimal workflow for the inexperienced analyst. Many European countries have now legalized cannabis for medical use, and some are also considering to permit “adult” (recreational) consumption. Numerous health benefits have been reported for cannabis, including; general pain reduction, anti-nausea, reduction of seizures, and autism. 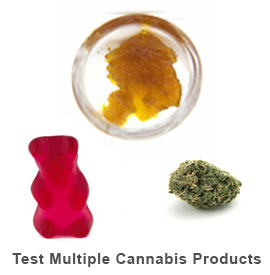 QC testing for cannabinoids is essential for the accurate labeling of cannabis products in both medical and recreational cannabis markets. 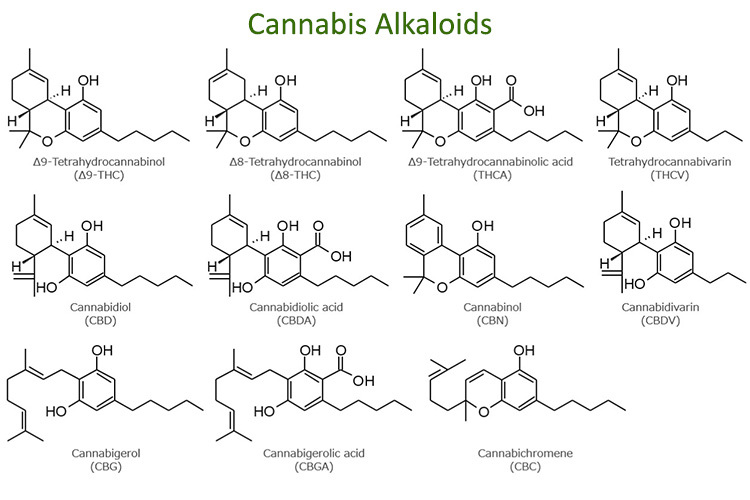 Cannabis “potency” is normally determined by quantitation of the major cannabinoids, including THCA, THC, CBD, and CBN. 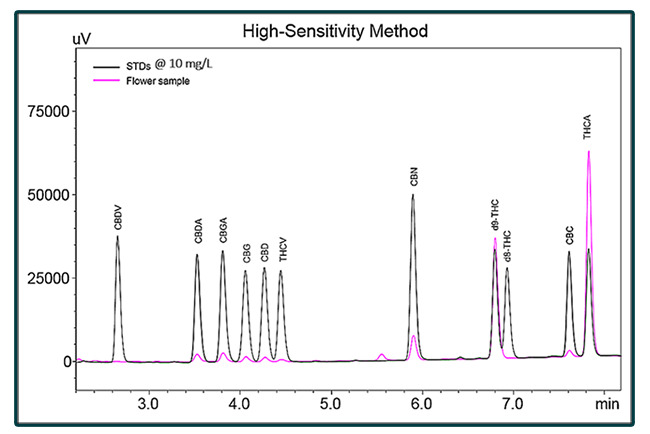 The following is an overlay of a flower sample with the standards supplied in the High-Sensitivity Method package. 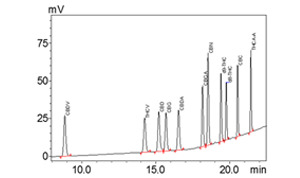 When high sample throughput is paramount – 60 samples per 8 hr. day. 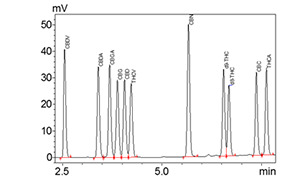 Quantitative for 10 cannabinoids (no THCV) in under 8 minutes. Developed in collaboration with commercial testing laboratories. 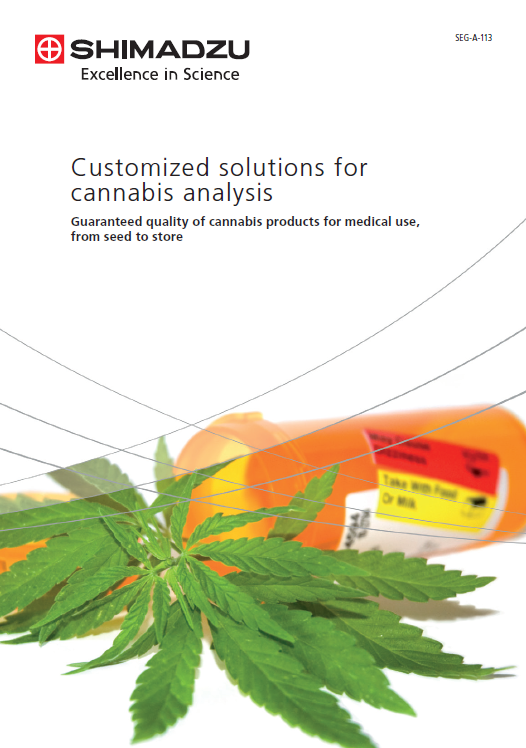 When THCV is important, yet with good sample throughput – 48 samples per 8 hr. day. 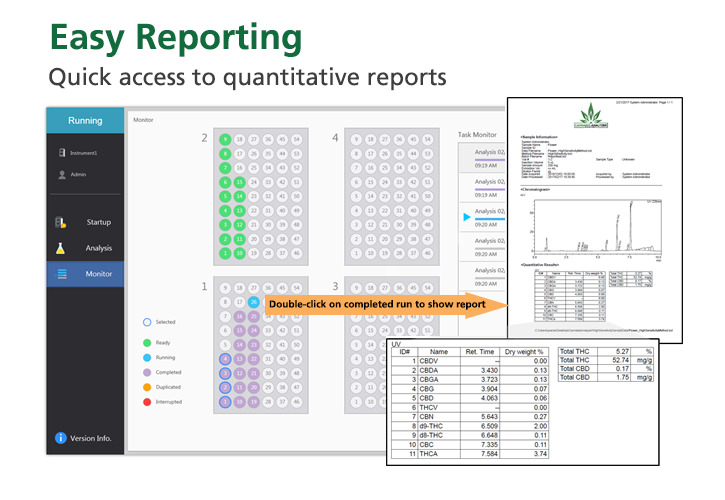 Quantitative for 11 cannabinoids (including THCV) in under 10 minutes. 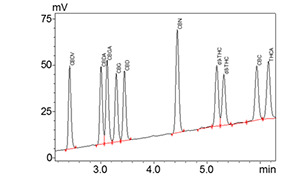 The method provides the sharpest chromatographic peaks and best sensitivity. For baseline separation of 11+ components, including THCV. Minimum Resolution = 2.0. 16 samples per 8 hr. day. This is the preferred method when performing research, adding additional compounds, or state regulations change. Shimadzu does not support or promote the use of its products or services in connection with illegal use, cultivation or trade of cannabis products. Shimadzu products are intended to be used for research use only purposes or state approved medical research. Shimadzu Scientific Instruments is not condoning the use of recreational nor medical marijuana, we are merely providing a market summary of the cannabis testing industry.